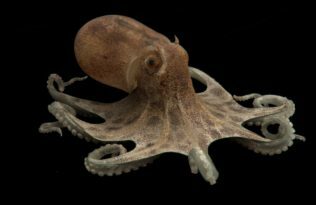 Over 150 years ago, the father-son glassmaking team of Leopold and Rudolf Blaschka created a glass menagerie of over 800 marine invertebrate models, documenting life in oceans untouched by climate change and human impacts. They were captivated by sea slugs, octopus, squid, anemones, and even soft corals, and they spun their likeness into exquisite glass replicas. As described in A Sea of Glass, my quest to find what living representatives remain of the Blaschka’s subjects was surprisingly successful, even though their variety and numbers have dwindled since they were first captured in glass. Sadly, their losses are accelerating beyond expectation due to climate-related impacts such as ocean acidification and warming seas, particularly for coral reefs. The devastation this year is shocking. According to a new report in the journal Science, coral reefs around the globe have been devastated by the world’s largest bleaching event. Only 7 percent of all Great Barrier Reefs are unaffected, and in the northern GBR, 80 percent of reefs are severely affected. Over half the live coral has died on these severely affected reefs, once the most vibrant on the GBR. This means vast tracts of reef are no longer good habitat for all the extraordinary biodiversity and fisheries wealth that once lived there. Things are even worse in other places, like the tiny country of Kiribati where Dr Julia Baum of The University of Victoria estimates that 80 percent of the coral cover died. 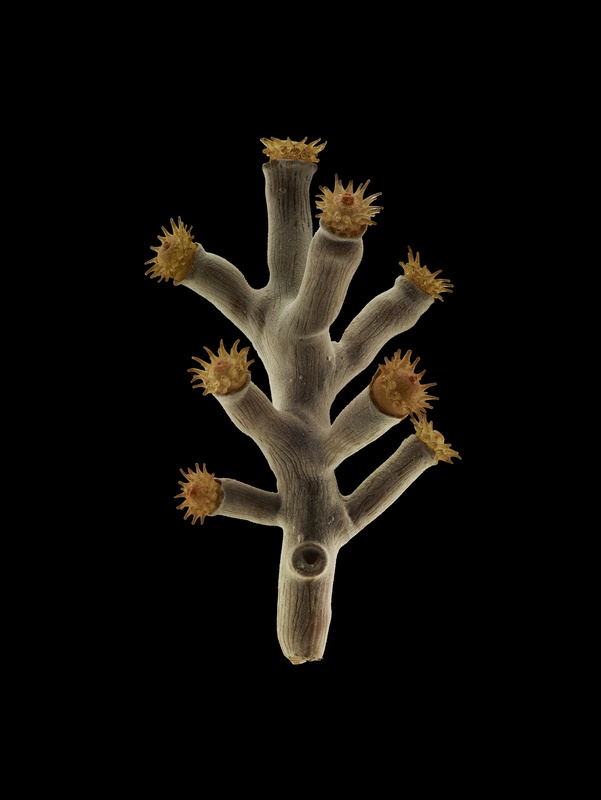 Those of us who study infectious disease know its not over yet; the remaining live, but severely stressed corals in both the GBR and Kiribati will still be susceptible to waves of lethal infectious disease yet to come. 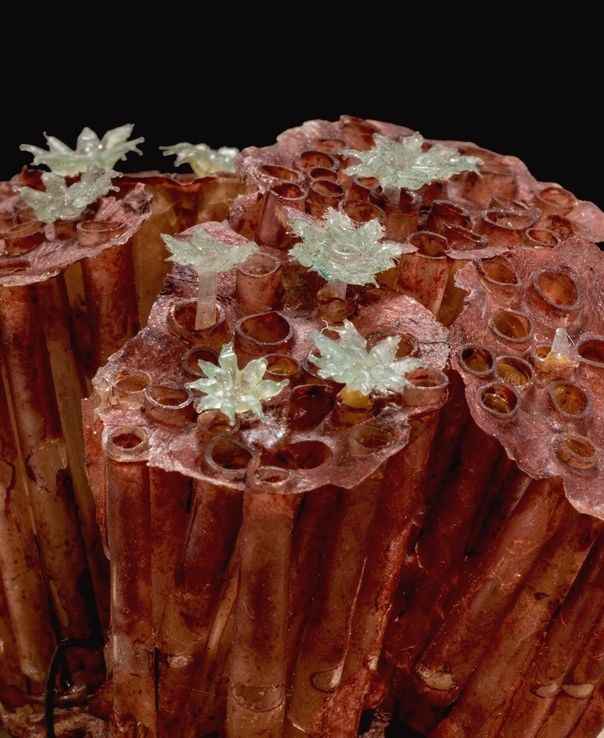 Even before this disastrous year, coldwater corals that the Blaschkas once captured in glass, like the stunning precious red coral (Corallium rubrum) and the golden cup coral (Astroides calycularis) from the Mediterranean, have experienced multiple mass mortalities due to heat stress. There is much that can be done to reverse the impacts of climate change; it is the grand challenge of our time, and our reward for success will be an ocean full of nature’s masterpieces. Otherwise, in fifty years it may be that all we’ll have left is our sea in glass. 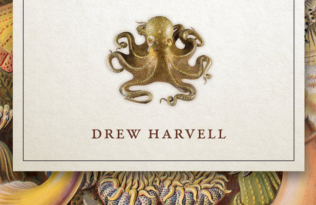 Drew Harvell is Professor of Ecology and Evolutionary Biology at Cornell University and Curator of the Blaschka Marine Invertebrate Collection. Her research on the sustainability of marine ecosystems has taken her from the reefs of Mexico, Indonesia, and Hawaii to the cold waters of the Pacific Northwest. 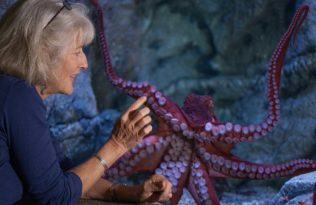 She is a Fellow of the Ecological Society of America and the Atkinson Center for a Sustainable Future, a winner of the Society of American Naturalist Jasper Loftus-Hills Award, and a lead author of the oceans chapter in the recent U.S. Climate Change Assessment. She has published over 120 articles in journals such as Science, Nature, and Ecology and is coeditor of The Ecology and Evolution of Inducible Defenses.